Thank you to Paul Choi for the fun Promo Video for Bar Wars: Asheville Takes Manhattan. Congratulations, Smokey Park Supper Club. Bar Wars: Asheville Takes Manhattan 2016 Champion! Fun times at Bar Wars this year. Many thanks to all who participated. Sovereign Remedies, Imperial Life, MG Road, Nightbell, Post 70 Indulgence Bar, Salvage Station, The Montford Rooftop Bar and our winner, Smoky Park Super Club. Here are some highlights from Bar Wars and the Final Mix Off. "When you have guests, it’s extra special to feed and water them local,” Rich muses. “Distilleries such as Covington, Durham Distillery, Fair Game Beverage and more are producing delicious liquors, and I’m happy to promote them whenever possible." Spirit Savvy brings together Asheville's finest bartenders for rooftop soireé. Guests enjoying the views and lovely Mockingbird Punch by Erin Hawley of MG Road. Asheville may be Beer City to the outside world, but its craft cocktail scene brims with innovation and style. Local bartenders and mixologists are not just on-trend—they’re creating the trends for cocktails in the mountains. Mary Rich, founder of beverage-based events company Spirit Savvy and organizer of Asheville Bar Wars, corralled six local stars-behind-the-bar to debut spectacular summer beverages on a sunny downtown rooftop. Here's a fun piece published in our local, Asheville Grit. Even if you haven’t heard of Mary Rich, you’ve probably seen her. At five eleven, her strong yet feminine physique is striking and her ease with other people draws you in. She is making Asheville her own, and you should take notice. She's quick and flawless behind the bar and moves with so much grace. Erin Hawley makes it hard to believe she just concocted the complex, yet balanced creation slid in front of me. I got to sit down with Erin to find out a little more about this poised cocktail architect. Spirit Savvy: Erin, you got to bartend in some pretty great cities. Erin Hawley: Yes, I started in the business in Raleigh, then NYC and before moving to Asheville, I worked at Halcyon in Austin. I got into bartending to express my creativity and also to meet people. It wasn't until I moved to Asheville, that I really jumped into the craft cocktail scene. Before that, I was perfecting the art of making drinks for a busy bar full of people! SS: I think you have that down. Tell me a little about the cocktail scene in Asheville. How does it compare to other cities? EH: About 2-3 years ago, there really were just a few places in town doing crafted cocktails. The Magnetic Field, with Cynthia Turner behind the stick, inspired the culture to really take off. It's come so far in such a short time. Asheville is unique in that our bartending community is pretty tight knit. We share information and new techniques with each other and there really isn't the competitiveness you might see in other cities. I am also finding that Asheville is really on par with other bigger cities' craft cocktail culture. It's very special and something to be proud of. SS: What are some trends you are liking these days and some trends you'd like to see go away? EH: I don't like to use the word trend, as it seems fleeting and I'd like for some of these to stick around. I do enjoy the the more scientific/ molecular path. Thanks to my experience at Nightbell, I was able to learn some pretty cutting edge techniques. I like playing with textures, spherifications, foams, airs, specific ice cutting.... and I like staying super seasonal. Of course, I'm glad to see the trend of the "girlie drinks" ie. Apple-tinis etc... go away. 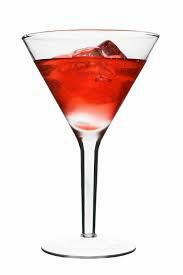 Customers, especially women, are also more educated about well made cocktails and finer spirits. They expect more. SS: Speaking of women and cocktails, you have a great ongoing event starting up soon. EH: Yes, It's called "Girls on Deck" at MG Road. Katey Ryder and I will be designing drinks for the evening, there will be amazing food by Chef Sarah Cousler of the Admiral and Punk Wok and music from talented female DJ's. It starts on Thursday, July 24th and will run each Thursday. Check MG Road's Facebook page for details. It will be fun to showcase all these talented women! Erin will also be our featured bartender at Spirit Savvy's next event, Get A Room at the Posh Boutique Hotel, August 15th. More details to come on this Aphrodisiac Affair. 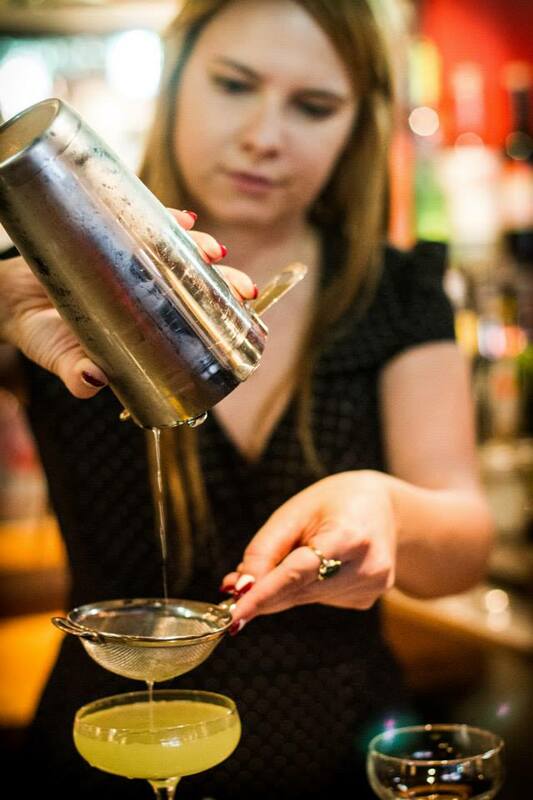 Find Erin Hawley most nights at MG Road and enjoy some of her creative libations as she glides behind the bar. Sunday night's event was a blast! Our little 'Absinthe Hideaway' was right on Chicken Alley in the Zahiya Bellydance studio. Cynthia Turner was our Absinthe Maven for the evening, wowing us with beautiful absinthe cocktails from beginning to end. Cynthia pouring the Belle Femme- a lovely twist on the Sazerac- with added Aperol and Sweet Vermouth. "La Louche"- The process of slowly dripping iced water into absinthe, changing the color from an emerald green to an opalescent, milky green. Our absinthe fountain was beautiful to watch and let people taste the different styles of absinthe from all corners of the world. Green Fairy played by filmmaker, Jennifer MacDonald. Our live artist, Christopher Holt had much inspiration for his creation. Christopher's live party scene... Sold on site! All proceeds benefited the Asheville Art Museum. A good time was had by all! For those of you who came, we appreciate your willingness to experiment with this spirit. We hope you left with a greater appreciation for this Wormwood Delicacy and that you feel more comfortable experimenting with it on your own. We made the Asheville Scene! Thank you so much for your support. Spirit Savvy is a dream come true. As I embark on this new chapter I invite you to come along for the ride. Creating an event production company to showcase the talent of the makers, the mixers and the movers and shakers in our community will help the world recognize the amazing craft cocktail scene emerging in Asheville and the Appalachian Region as a whole. We are going to have an amazing time. I will be using this blog to highlight your special something. I look forward to seeing you at our launch party and many events to come.